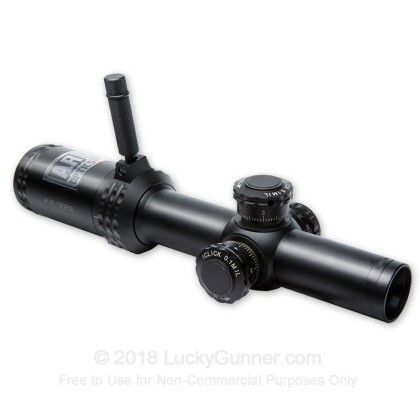 This mid-distance scope provides incredible versatility to the AR shooter; ranging from a 1x magnification for close quarters engagements, to 4x for tight shot groupings down range. The Throw Down PCL Lever gives you the ability to make lightning quick power changes. The scope is fitted with Bushnell's Illuminated BTR (Bushnell Tactical Reticle) Reticle to easily sight in your target and place you're round exactly where you intend with accurate holdovers out to 500 yards. The .1 Mil click adjustment gives you the power to use your AR as the high precision instrument hat it is. 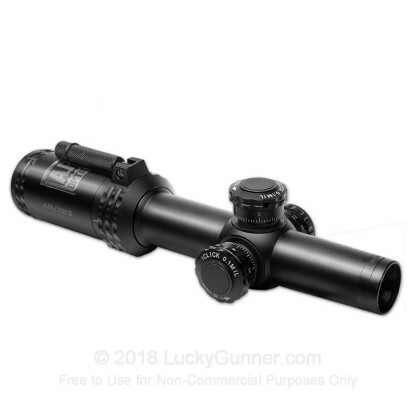 Mount this Bushnell AR 1-4x scope on your AR and take your shooting performance to the next level.